Get a Man and Van Quote Now! Need a Man and van? If you are in the Greater Manchester area, look no further for a small removal company. The Man with a Van service have experienced movers to help your move run as easily as possible. We can carry out small or large removals; we offer packing services, provide boxes. 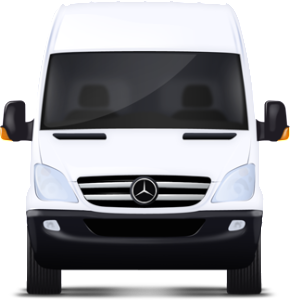 We can provide a removal man with a van or large vans with two men crews and our fees are competitive and affordable. Weekends same price as weekdays 7 Days a Week 24 hour emergency moves at short notice. We have our own Mercedes Luton vans and long wheel based high top Sprinters. We pride our self's on offering a 1st class service with "integrity" a bygone word in this age. We are based in Manchester and cover as all the surrounding areas working in the city center, Withington, Didsbury, Hulme, Fallowfield, Stockport Cheshire or any area in Manchester. We deliver to any location in the UK, so if you are moving to London, Birmingham, The South West, Wales or Scotland, we would be pleased to carry out your man with a van removal. We regularly provide removal services for customers based in and around Greater Manchester Over the years we have completed countless house and office removals for people looking to locate to a new home or business premises. We like working in Manchester and are proud of our City. We have a large number of customers who often trade on eBay we can offer great transport prices on large furniture items. If you have won a large item on eBay, then you may be looking for an eBay delivery service to collect the item and deliver it even if it is located in London. We also collect items from stores like Ashton and Warrington Ikea. There are lots of small removal companies nowadays offering home removal services online. Finding the right moving company that can meet your requirements can be very hard particularly for those who have not moved home a lot. We have a 5 star google rating with excellent reviews from are previous customers who have moved home with the peace of mind we offer. So get the best Manchester man & van service here we have the proper vans kitted out with blankets moving trolleys and ties to secure your belongings. We have a land line telephone 0161 215 2196 and freely give out our business address, do not book with a company that will not provide these details you will not have any way to express dissatisfaction or annoyance about anything. We try to give all our customers a friendly and stress free move with the hope you will be a returning client.